Given that I’m nudging 200cm, I find it hard to get a bike big enough without resorting to custom made frames. 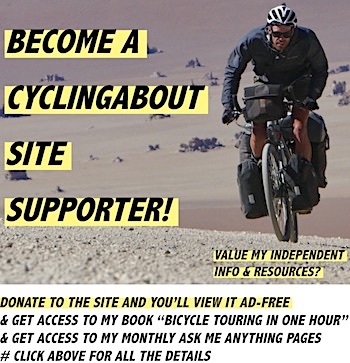 In light of this, I’ve put this touring bike resource together to help out fellow XXL and 3XL riders. 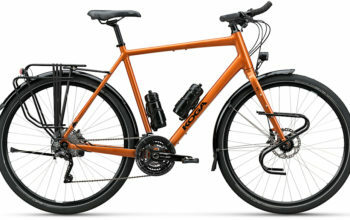 Please let me know if you’re aware of other bike manufacturers who make XXL touring bikes. But first, let’s take a look at a few things you’ll want to consider before buying your bike. 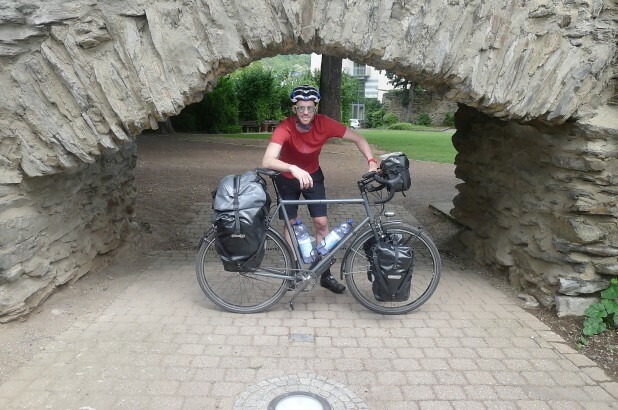 Hanging out with my 64cm Surly Long Haul Trucker in Germany. I recommend getting a professional bike fit before buying a bike. At a cost of $100-500, a two or three hour consultation will have you set up perfectly on a stationary bike. 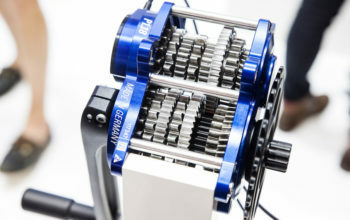 The bike fitter will ask you questions like, what type of riding you do, how often you do it, and what your goals are. The measurements that come out of your fit will allow you to be comfortable on your new bike, and provided you have stack/reach data, you’ll be able to use this resource to find your next bike! 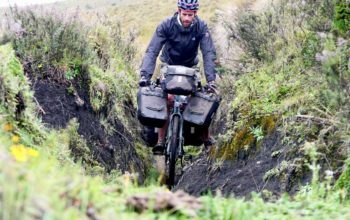 The Specialized AWOL is one of the biggest off-the-shelf touring bikes available when you consider the frames stack and reach. Although you will find bikes with what manufacturers tout as large sizes, not all bikes measure up. Just take a look below, some “60cm” frames can actually be larger than other “70cm” frames! Stack and reach are the two measurements I use to compare bikes on an even playing field. They have their limitations, but are the best tool we have to compare frame sizing from various sources. If you’ve got long legs for your height, you’re going to need to take a close look at the stack figures. With a high seatpost, you’ll most likely need a tall front end to match. Gunnar, Id Worx, Specialized, Soma and Salsa offer frames with big front ends (you can always run a longer stem to increase your reach). You can read much more into frame geometry HERE. You will notice that some of the bikes below are designed around flat handlebars. 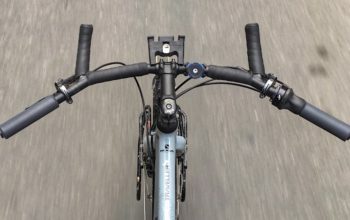 These frames often have longer reach, and a lower stack in order to accomodate the different ergonomics of flat handlebars. If you tried to fit a road handlebar to these bikes, you may find that the frame is too low for your needs. 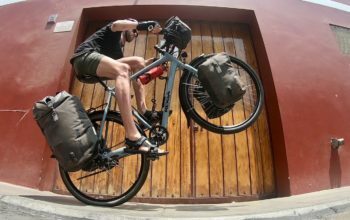 These are the largest touring bikes from manufacturers who had sufficient frame data on their website. 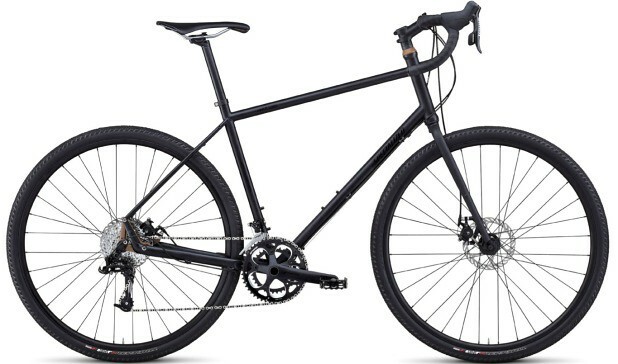 Would you like to see our list of XXL Road and Cyclocross Bikes? Head to our XXL Bike Resource. 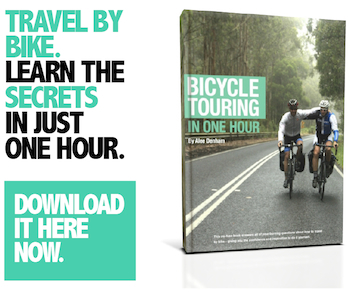 Do you know someone who finds it hard getting touring bikes small enough? Send them to our small bike resource.